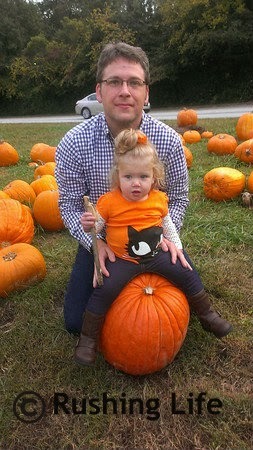 What's fall without a pumpkin? Well, no fall at all, I suppose! 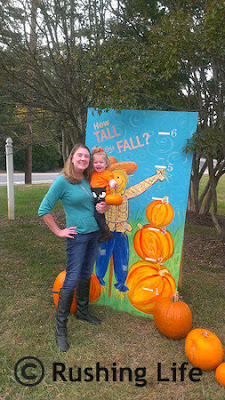 On a random Tuesday night, Puff and I realized we better get on it or all the good pumpkins would be gone. 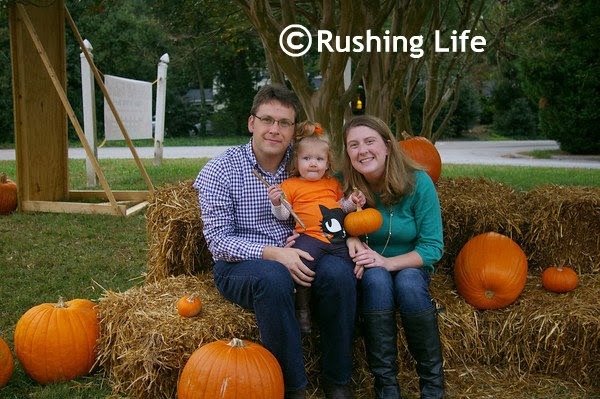 We like to go to a local church that spreads all the pumpkin options all over their lawn, so you feel like you're in a pumpkin patch. Last year, Bimmer had just learned how to sit, so it was super easy to get lots of cute photos of her. This year? Not so much. 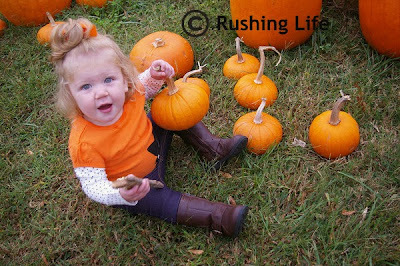 She was too busy rubbing all the pumpkins, walking around, pointing at people and passing cars. There were no "Bimmer + pumpkin = smiles" photos at all! The cutest thing about Halloween this year, versus last year? Bimmer can talk. 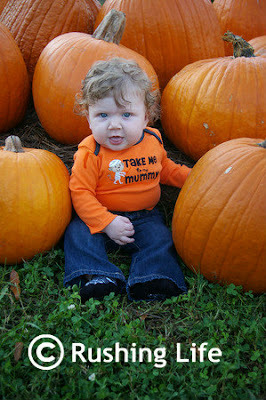 And she has decided that anything and everything associated with Halloween (including pumpkins) she would call "Boo!" One night when Puff was in Michigan on business, I decided to let her decorate one pumpkin with stickers. I was proud of myself for letting go my OCD for wanting everything to be perfect. I'd say her little attitude shows how proud she was! 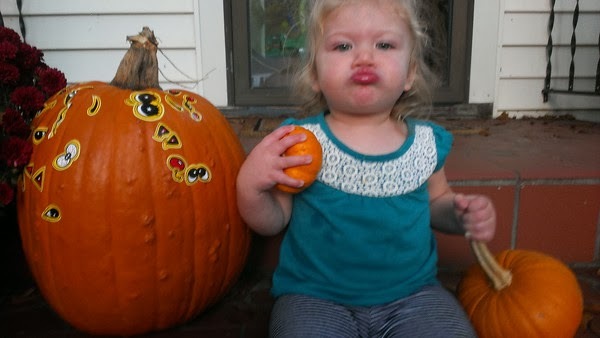 Her pumpkin is awesome but that face is priceless!! lol- so cute!